The BRR Gap Year Program is a new semester long (4 ½ month) program designed to provide hands on experience in a wide range of animal careers. This program will focus on young adults ages 17 to 22 who are passionate about animals and want to explore their passion through hands on work, side-by-side with the Animal Care Team at Bear River Ranch. 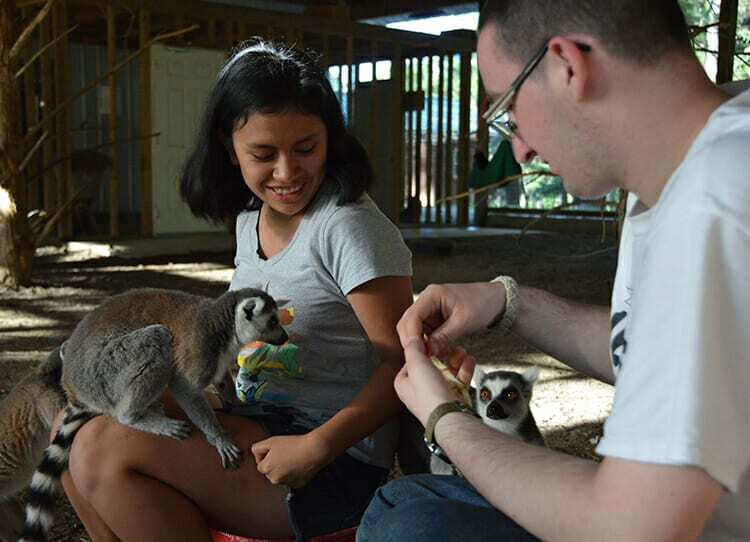 In addition to working at BRR, part of the Gap Year Program will be to learn through volunteer experiences using animals or animal knowledge in the community. Gap year students may bring an approved personal pet, if they select a private room for their residence. Those who don’t bring a pet will be given the option to temporarily adopt a pet from camp for the duration of their stay. During your time in the program, you will be assigned 3-5 specific animals that you will become personally responsible for. You will be the primary person involved in their care, feeding, grooming and training. You will have the choice of allowing these animals to live in your residence or not, and will use these animals as your Ambassador Animals when doing public educations with animals. Typical animals will include: a dog, a bird, a small mammal, a reptile and a miniature horse, goat or alpaca. Gap year students live in a furnished two bedroom apartment or a small house, with the option to have a private room or to have a roommate. Students will have access to a washer and dryer on property for their personal use. Each residence has a full kitchen and students are responsible for purchasing their own food and making their own meals. Housing - $700*, shared room / $1300*, private room – per semester. Furnished with all utilities included and access to a washer and drier. *$500 security deposit is required (fully refundable if the residence is left clean and undamaged upon departure).